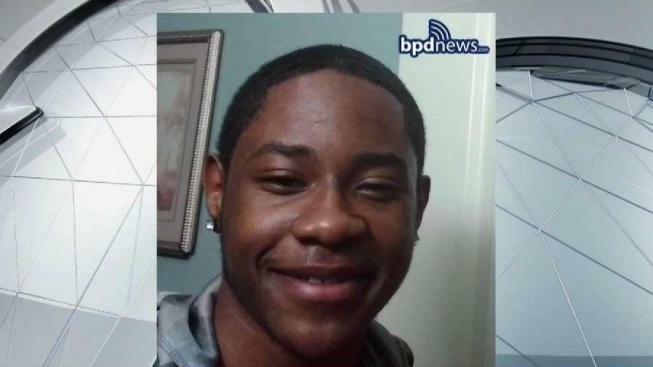 Sherron Allen, of Roxbury, was last seen Saturday around 2:30 p.m. in the area of 225 Dudley Street. Boston police are asking for the public's help in locating a missing 14-year-old boy. Sherron Allen, of Roxbury, was last seen Saturday around 2:30 p.m. in the area of 225 Dudley Street. He was wearing a black hooded sweatshirt, beige sweatpants and black Nike sneakers with the words "Just Do It" written on them in orange. Allen is described as a black, non-Hispanic male, 6' feet tall, weighing 150 pounds with a slim build. Anyone with information on Allen's whereabouts is urged to call detectives at 617-343-4275. People can also choose to help anonymously by calling the CrimeStoppers Tip Line at 1-800-494-TIPS or by texting the word 'TIP' to CRIME (27463).